You are here: Home / Automation / How to run a Docker Container on the vCenter Server Appliance (VCSA) 6.5? I thought docker was already installed in PhotonOS, but maybe the vcsa team completely removed the client to keep it as neat as possible. 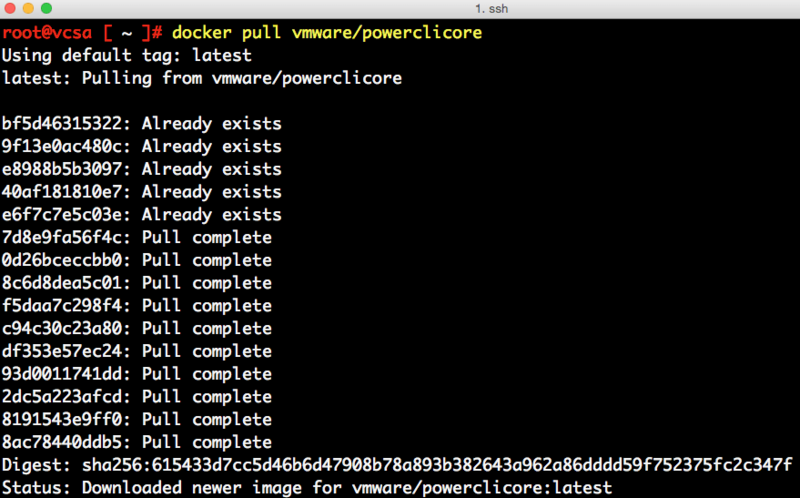 I wouldn’t be surprised if PowerCLI core get integrated in one of the core appliances in the near future. vCSA or vRO? One quick question: would the newly to be released v6.5 of vCSA support dual-homed configurations with two external PSCs (in replication) ? I am getting error “unknown symbol in module” on step 2. Anyone else hit this? It as reboot of the 6.5 VCSA required after docker install? I am new to docker…. I got this to work…must of had a typo. HI all i got also an error. Problem is that the symlinks aren’t there you have to run Step 3 before Step 2 there will be an error too but now the links have been added. So you will able to do Step 2. Thank’s William for the great article! Interesting that vCenter appliance is on Photon, but vCenter itself doesn’t seem to be containerized. I wonder if that’s the next step?